If you will ask me about my personal choice, I think I would go for the first and fourth design. The first design below is quite easy to do and I would just be needing a simple plywood plus some spare linens and perhaps a thin foam that could easily be bought from an upholstery supplies store. 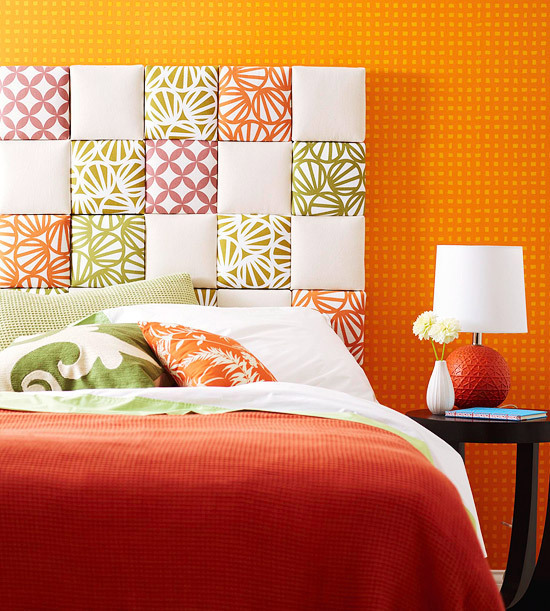 We have to choose the colors of the fabric so that it would match the color of our bedroom walls. What I love about the fourth design is that it is functional and would give me a lot of storage spaces for my stuff. 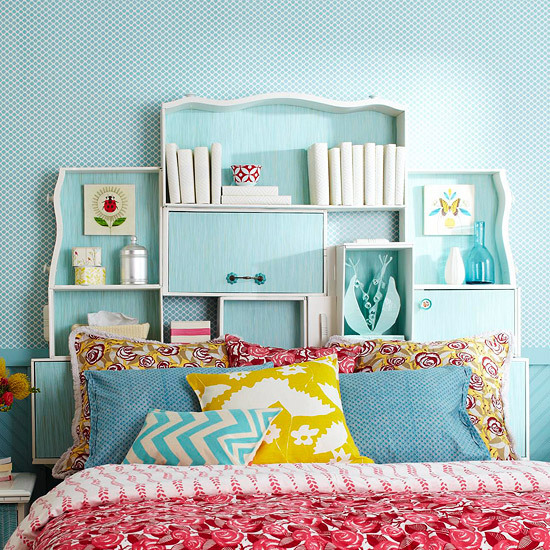 This is just a simple wood work and you may want to recycle the drawers and shelves from your old furniture. 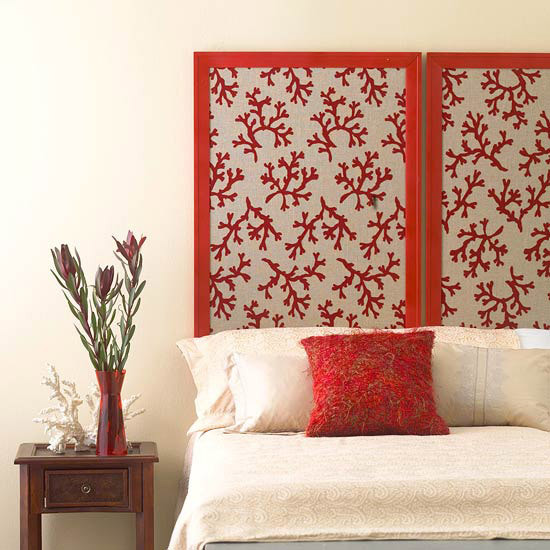 Adding a color that would match the color motif of the bedroom is necessary to make this head board stand out.